Language barrier is one thing that shouldn’t stop your site visitors from making a purchase or returning to the site. Over the recent years, plenty of apps and themes have been developed to transform your local online store into an cross-border e-commerce business that sells to a foreign buyers located across the globe. In our previous articles, we’ve covered the importance of speaking in your customers’ language to sell more effectively. 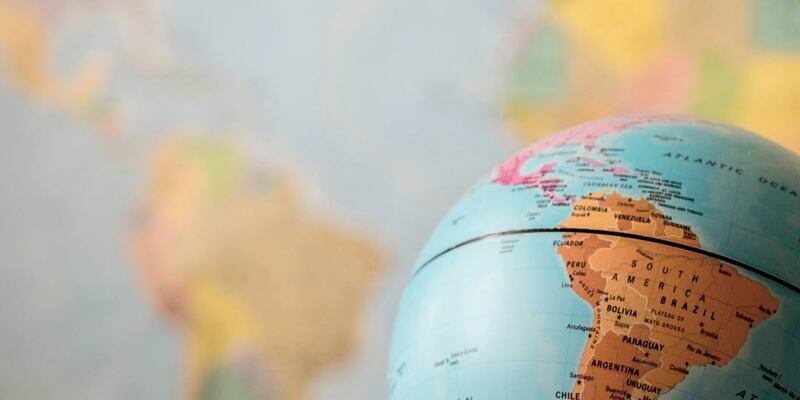 In this article, we discuss different ways to turn your site into a multi-language Shopify store keeping in mind a Latin American customer base. Why do you need a multilingual online store? Multilingual online store unlocks new markets and new opportunities to your business, in addition to building trust and business expansion in foreign markets. Releasing a multilingual version of your e-commerce store helps in the following ways. Reach out to international buyer markets. International e-commerce is a multi-million-dollar business and more importantly, the need of the hour. Multilingual stores are the key to creating an ultimate customer experience for the native buyers especially in a language they are comfortable with. However, the best way to execute a flawless translation on a site to reach a global customer base is to create language subdomains and use Shopify Apps and Themes to create a multilingual experience. Speaking of site translation, the e-commerce storefront, checkout page, email and chat communication can be multilingual, but the backend admin panel will be in English to enable easy business management. Consider having to sell to an international audience in five different language-speaking countries. Would you create five different e-commerce stores on five separate domains? That would be expensive and technically-difficult to maintain and doesn’t deliver a great site experience for the users. On the other hand, adding full multilingual and multi-currency support adds enormous complexity to your regular e-commerce store which is why Shopify has developed language apps and themes that can make the process smoother and simpler. Shopify is an online e-commerce store solution that allows users to setup an online store, organize your inventory, customize your store interface, track payments, communicate with customers and much more. Basically, there are 2 ways to make your Shopify Store Multilingual. Using a multilingual theme or developing a multilingual theme for your website is the first and foremost method of creating a multilingual online store. Yet, this process requires complex coding and site management; as well as limited to web pages and posts but not emails, payment transactions and more. The Bilingual theme, which has been discontinued in 2016, has helped 100s of store owners to create Shopify stores in 120+ languages. Still, with the advent of an era of Apps, translation Apps, which are technologically superior to multilingual themes, have made their way into the market. Shopify App store offers plenty of language translation apps that can make your website speak in multiple languages at the click of a mouse. However, given a plethora of options, it is not easy to pick the right app to translate your site for an international audience. From Langify to MultiLingo, each app comes with a unique set of features that makes it hard to choose from. Hence, we have curated a list of best Shopify multilingual apps that offer automatic and/or manual translations on your site to deliver the ultimate experience. The first and foremost tip to creating a multilingual online store is to choose a user-friendly translation app that is easy to install and comes with a decent interface. 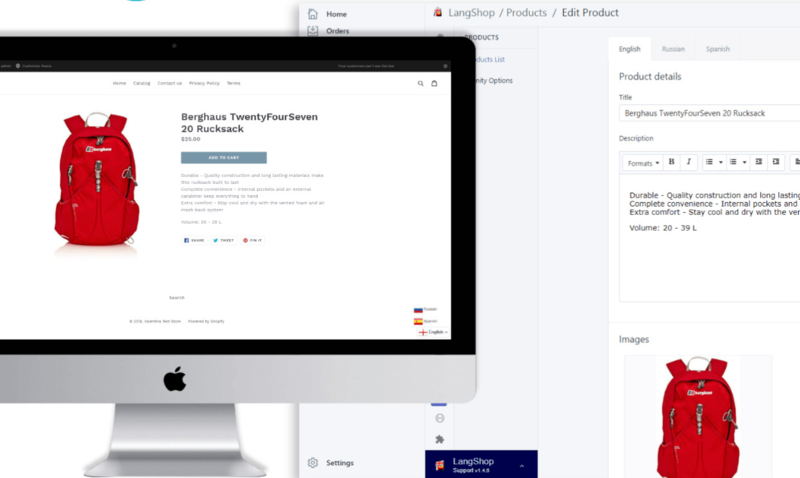 One of best language translation apps on the Shopify store, Langify is the first choice when it comes to creating a multilingual e-commerce business. Starting at $17.50, Langify is a cost-effective website translation app that offers interesting features such as follows. Simple and Easy to Install UI. No coding skills required for setup. 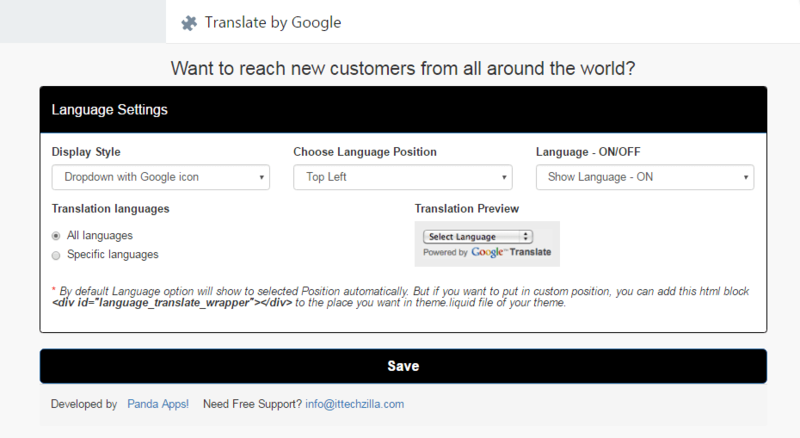 Can be installed on existing Shopify stores for instant translation. Creates a new subdomain for each language. Unlimited SEO optimization for languages. Supports Right to Left (RTL) translations. Products on the Checkout page and Notifications section cannot be translated. Custom shipping/payment texts on the checkout page cannot be translated. 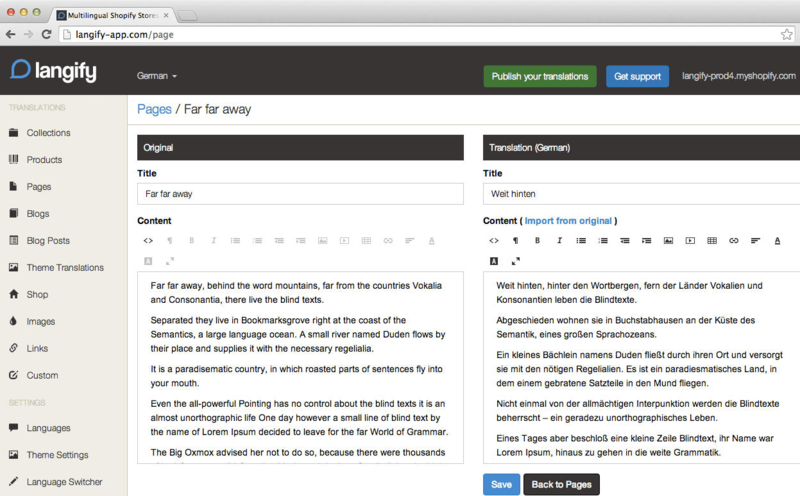 Panda is a hyper-easy translation App on Shopify that comes with an easy and quick setup and installation. LangShop is interesting and smart language translation app that is easy to install and offers automatic translations along with intuitive navigation. Starting at $17.99 per month, the LangShop App is good to begin with if you are technically-sound. Analytics centre to categorize requests based on country, platform, device etc. Although similar to Panda Language Translate App, MultiLingo uses Yandex translation engine for automatic translations (of specific pages) making them more accurate than those of Panda App. The app can create multilingual version of any Shopify theme and offers some interesting options as below. Translation of SEO data – meta tags, descriptions, titles – for automatic localization. 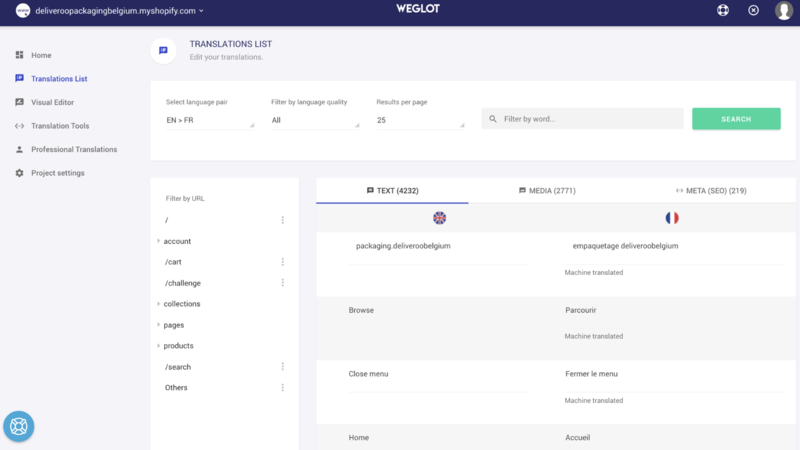 Weglot offers translation support for 60+ languages and comes with an easy setup and installation without any complex coding involved. One of the most essential aspects of using a multilingual app for your online store is that the translation is not restricted to a limited to a certain number of, or a specific set of, pages. 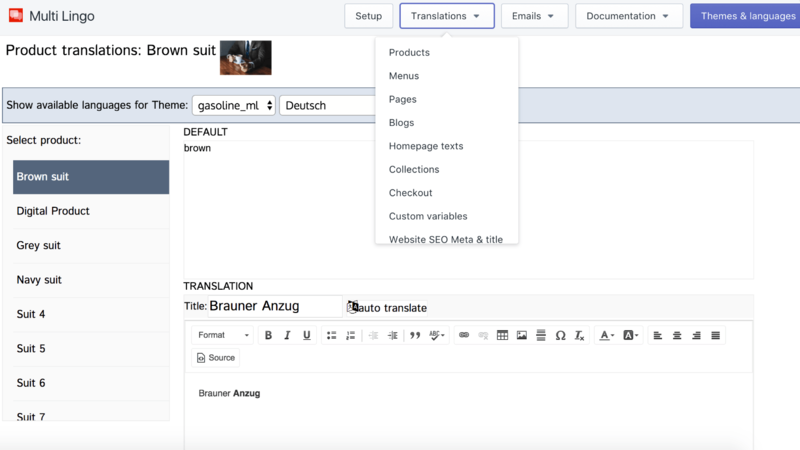 Despite the presence of multiple language translation apps on Shopify, very few of them offer automatic and dynamic translation of the checkout page. Offering checkout in a preferred language also calls for downloadable invoices in the native language. This is one thing international online stores tend of ignore. Sending invoices in local languages will help deliver a great online shopping experience to your international buyers and contribute to return customers as well. Ensure that the checkout pages are optimized in local languages. Build trust by creating encrypted checkout pages integrated with secured payment gateways without compromising on design and user privacy. Ensure responsiveness of the checkout page on all mobile and tablet devices, across all platforms. Enable fraud detection and suspicious activity tracking. EBANX specializes in international payments from and to Latin American market – Brazil, Mexico, Colombia, Chile, Peru and Argentina. Mixtore is an EBANX Payments product, which offers a showcase and product page integrated with a shopping cart which offers Boleto Bancário and Credit Card payment methods for Brazilian customers. Mixtore offers an easy and seamless integration for international stores to sell products online to the Latin American market. 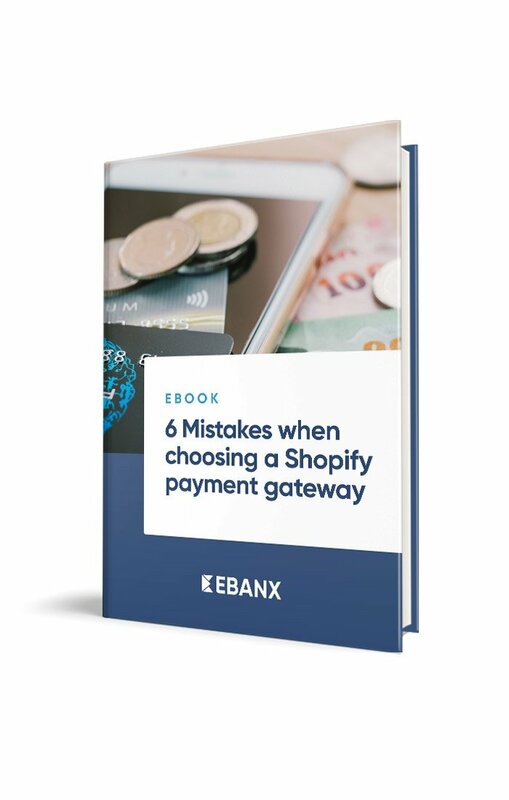 Easy and Quick integration with EBANX checkout to offer local payment methods for Brazilian customers. Mixtore’s checkout also supports installments up to 12 monthly payments and cash payment via voucher (boleto bancario). Post Integration with Mixtore, the control remains with the Shopify Admin. Access to EBANX Dashboard for access to transaction history and settlement requests. Nevertheless, speaking in the language of the site visitor throughout the purchase process in a language of their own can help convert the potential customers into purchasers as well as return customers. Multilingual websites, payment gateways, product pages, coupled with a multi-language email and chat support features are a great start to launch your international online store and reach foreign buyers.